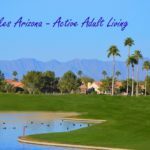 The Sun Lakes Arizona Real Estate Market Report for 2018 is here! 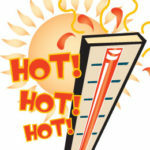 What is the Temperature of the Home Values in Sun Lakes? The Sun Lakes Arizona real estate market has been as hot as the summer temperatures. And, with low inventory and buyer demand, we do not see that changing for the 2018-2019 season. Prices have increased overall in Sun Lakes just over 11% from this time last year. That doesn’t mean seller’s can price their homes above market, however. Buyers are savvy and doing their home work before they contact a Realtor. They know what has sold and have already compared those homes to the ones they are now seeing. Currently, Sun Lakes has 94 homes listed for sale. As of November 24th, 2018, 60 listings were under contract. Of those 60, four homes are under contract in the $500,000 to $600,000 list price and no homes are under contract that are priced above $600,000. We are also seeing a year over year change in listings under contract that is down 6.25% the week of November 24th. November 17th week was the only week with an increase at 8.93%. The weeks of November 3rd and 10th were down 37.68% and 21.13% respectively. The real estate Bible for successful agents is a paid subscription to the Cromford Report, a company that watches the entire Phoenix area real estate values and trends on a daily basis. 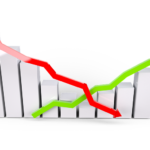 The Cromford Index report provides insight into a buyer versus seller market. An index of 100 is considered neutral and balanced favoring neither buyer or seller. An index above 100 indicates how strong the seller market is and below 100 how strong the buyer market is. Currently, the index for the Sun Lakes Arizona real estate market is 172 after falling from 275 in September. We attribute some of that to the lack of inventory, and we are also seeing buyers waiting on price reductions or more inventory. Sellers clearly must price their home in market value range to even be considered for a showing. Lack of any showings is a leading indicator that the price is too high. Consider a home that should be priced at $400,000. The seller wants to price it at $440,000. Home buyers are like any other shopper. They will compare upgrades, value and features with other homes. And, the over priced home will lose out because the buyer sees better value elsewhere. If you are looking to buy a home in Sun Lakes you need a Buyer’s Agent that knows the market and real estate trends. One who will negotiate the best price on your behalf. And, if you are selling a home in Sun Lakes, you need a Listing Agent that knows how much the market will bear as well as best timing to list. The Kolb Team has both buyer and listing agents that can answer your questions and negotiate a home that is perfect for your needs. Are you a Buyer? Sign up for our free new listing alerts to see homes the instant they come on the market! Are you selling? Click here for a complimentary home value assessment.